I know alot of people were annoyed how PJ used the same moth technique to get the eagles to come to Gandalf as he did in LoTR. I think it should be left in, how else could the eagles be introduced into the movie, have them just fly down and talk. At least in the BatFA Gandalf tells Radagast to get his friends. Though in the RotK who actually sent the eagles in the book and movie surely they live to far away from Mordor to actually see what's going on. Well, my doctor is totally ignorant of my literary preferences. In fact, I have no idea if she knows anything about JRRT except that there were to her inexplicable hypes about a bunch of movies in the early 2000s and roughly ten years later. Were I to give her a selection of my posts just from CoE, on the other hand, she would probably strongly oppose my doing anything of the sort. And as for doctors, the non-medical kind, I'm sure the topic provides enough fodder for several dissertations (look at what Tom Shippey wrote), and I'm not getting into that kind of stuff ... I'm retired, fer cryin' out loud! The Eagles go straight from trees to Carrock, right? No overnight stay in their eyries ... I'm fine with that, the talking animals bit is just too close to Hobbit-as-children's-book. The moth-as-messenger-to-the-Eagles rankled me in LoTR, I find it no better here. The Orcs and Wargs were causing quite a racket (same after Moria in LoTR), so the Eagles decided to take a look (while they may resemble Treebeard in the terms of being on anybody's side, like all beings not corrupted by Sauron they are definitely anti-Orc). What's the problem? As for LoTR, Gandalf, he meets Radagast, who tells him that The Nine (Nazgûl) are abroad (Raddy having been sent by Saruman? ), before Gandalf then decides to head off to Isengard, ending up captured by Saruman. Gandalf asked Radagast to alert all of his friends, the creatures, which included the Eagles. Gwaihir rescues Gandalf from the top of Orthanc, and also from the top of Celebdil after Gandalf's battle with the Balrog of Moria, and after his having been sent back as The White by Eru. So the Eagles were thoroughly roused, and as all non-corrupted beings were firmly opposed to Sauron. You seem to want your cake and eat it Gando. The Hobbit was never meant to be in the Secondary World. You'd either have to rewrite it removing all those references or get rid of the clarinets, golf and chatty wildlife. No, they couldn't have talking eagles or crows for that matter. And didn't the thrush whisper at one point? But I miss the eagle telling Bilbo he was like a little rabbit. Cute and cuddly or a snack? I can find no mention of eagles after Moria in LOTR. Mind you I just did a search for eagle. The scene on the Carrock is ok, Thorin showing his feelings for once. So that's a wrap. Time out now before we move on to the next film, and I'll have a go at editing this one. Wow! I've just realised that Gandalf chased the Balrog... for eight days! What a wimp. I don't have anything to add to the TH edit debate, but this caught my eye. I've just discovered the Prancing Pony Podcast episode 51 in which they discuss the movie, concentrating more on the corruption of the themes but mentioning the things we've covered. I've done AUJ and it's much better, I found a few other bits to trim. Well worth the effort. Very watchable now. The next one is going to be more difficult. The Bree scene is very good, no complaints, and the intro to Beorn is nicely done. Azog can be trimmed but Beorn mentions him to Thorin, and the scene at the table is worth keeping. What to do? There's also the Rhudaur tombs issue. There's one scene with Beorn, when he in bear shope chases the company - into his own house??? Dump, dump, dump. And for the Rhudaur tombs garbage - if at all possible, take my pervious comment squared! It's a movie. Lots of movement, preferably fast and with something chasing. What's the problem? I'd like to see a PJ movie of My Little Pony. The horror, the horror! OK well I suppose I could slow it down so they saunter to the house admiring the view behind them. I was hoping to do the whole story without any mention or sight of Azog but I guess that's not possible. You mean the Nâzgul weren't killed and buried in tombs? Cutting it all out would make nonsense of Galadriel's comments in the White Council, I left that bit in. It means leaving out the extra scene with Gandalf and Beorn which is a shame. My problem is that for at a minimum 30 years I have been allergic to the pandering by potential "blockbusters" to the 14-year-old male "duh?" set. I myself was at that age way back in 1970, and believe you me, the "duh?" bunch I experienced in that US high school at the time were not people I would ever have thought would ever become a relevant demographic. Looking back those 48 years, neither would I have considered myself and my kind to have such a potential, but the "duh?" set becoming a potential would have horrified me then (as it has driven me out of cinemas since 2004's RoTK). The W-k was killed (sort of?) by Merry and Éowyn. End of message. The other eight ended up like meteorites at the fall of Barad-dûr. Also end of message. This biggest pile of non-canon garbage by PJ has raised my hackles more massively than almost anything else non-canon that he perpetrated. Thorin & Co. takes place in 2941-42 ("and back again" ) Third Age. Read Appendix B. "2000 TA: The Nazgûl issue from Mordor and besiege Minas Ithil." You ask "You mean the Nâzgul weren't killed and buried in tombs?". I think the bit about "killed" - never mind. And in the destruction of Arnor, no one besides the W-k is ever mentioned (which might be fodder for the line of thinking that the Nazgûl were "the W-k and eight chicken-sh*ts"; I think he went there alone). The Nazgûl being overwhwelmed by a superior "magic" force and therefore bound in their Gundabad (was it that?) prisons, not tombs, is slightly more plausible. Very slightly. Who in Middle-earth would have had the power to do so??? Again as per Appendix B: "2463 TA: The Wite Council is formed." Exactly 400 years after Gandalf first went to Dol Guldur, at which time Sauron retreated before him and hid in the east. In my opinion. This Nazgûl-prison part is even beyond Azog / Tauriel territory. Hmmm, it's going to take some fiddly editing to remove all trace of those tombs. There's no egregious deviations from canon in Mirkwood, it just goes on too long like everything else. The Elves fighting the spiders is more in keeping with later tales, at least we assume it wasn't just orcs they fought while Gollum escaped. Yup, just removing the fat rather than the flesh. I've managed to exclude Azog so far and he goes off to Dol Guldur so it's a bit easier now. The Elves would've fought the spiders, what's the problem? And there's little doubt they would have employed spider surfing skills. No? Bilbo slew quite a few spiders in the book, even killing one with a stone. Again, no problem. I even like his moment of madness when he attacked the poor little giant scale insect. According to PJ it was just off for a pint of milk. And we must assume that the Ring was already at work on Bilbo. What about the Wood elf problem? What about Tauriel? This is where it gets messy. Getting Tauriel out is probably virtually impossible, too much screen time. Or to put it another way: cut all her scenes, and the movie really makes no more sense! What annoyed me far more, but is as likely incurable, is the whole bit about the Orcs attacking Thranduil's realm, and Lake-town. But that's just part and parcel of his urge to this time (the suits must have been nagging him no end about that practically invisible main baddie Sauron in LoTR, and no, a weird-looking huge searchlight on Barad-dûr didn't help!) to have a very visible main baddie in Azog, and never mind that he's "really" been dead for 142 years by then. And of course PJ's "battle-frenzy", he just loves such stuff. But would it be possible to cut the battle-scenes in Mirkwood and at Lake-town? Some Leggie fans would probably be screaming because he gets to do some really wild antics in the battle with the Orcs at the upper reaches of the river, but I'll guess the Leggie fans are not participating in this editing (HE also has no business being here!). Although Legolas's mother was never mentioned it's quite possible that she was alive somewhere in the Kingdom or did die or that she may of left Middle Earth. Only Tolkien knows for sure. Yep, and there have been no claims of recent contact - but maybe we just frequent the wrong Tolkien fan sites? Maybe someone has an "authorized" CoH plus the finished lay, B&L plus the finished lay, and that long story finished which started with so much detail but broke off just as Tuor caught a glimpse of Gondolin? But then there might also be some comments on the movies alomg the lines of JRRT's comment on comparisons of LoTR with Richard Wagner's "Ring of the Nibelungs", about which he is said to have snapped "Both rings are round, and there the similarity ends!" So he had a bee in his bonnet about Wagner and the Irish. Funny old fellow wasn't he? I would point out that orcs did attack the Elves of Mirkwood a bit later on so it's not too much of a stretch to have them on the outskirts at this time. Their main route to the BOFA was via tunnels it seems, coming from the North after Dain. Not through Mirkwood. OK we'll cut from the barrels running the rapids to Bard and his barge, no orcs. Kili just had a bad leg. I'm surprised we got through Thranduil's realm without any trimming. Laketown. As much as I like Fry's depiction of the Master it's all a bit too much really. What to scrap though? PJ massively expanded the action in Lake-town. The Master (a bit too much of a dot.com / subprime / Wallstreet banker about him), the invention of Alfrid, the company meeting Bard before they reach Lake-town, being smuggled in by him ... Of course with open barrels, the concept of the Elves poling closed barrels with the Dwarves hidden in them went out the window. And for PJ, Bard is probably the ersatz Arargorn, leaning currently towards the Strider side. I already grumpd about the Orc attack above in my general rant against PJ's "battle-frenzy". Then the rather unrealistic bit about Tauriel "duplicating" Elrond's healing powers against an unrealistically serious wound to Kili (errr ... is this all still in "Desolation" or have I lunged ahead to BoFA?). C'mon, Elrond's ancestry is the who's who of both the Three Kindreds of the Elves and the Three Houses of the Edain, while Tauriel may "only" be a Silvan Elf (at most Sindarin). I'm guessing that eliminating the error that not all Dwarves (at first) set out for Erebor would cause too much damage to remove? Mind you, as I have stated several times before, I did enkjoy PJ's movie as just what it is - an enormously expensive PJ fanfic, with all attendant breaches of "canon" (which is much thinner for TH than for LoTR). But (as is probably evident) what is in my cross-hairs in cutting the bloat or fat out of TH the movie is the seriously non-canon stuff that can be "surgically" removed without causing too much damage to the movie as a whole. I was going to cut all the orcs in Lakeland so it won't be too obvious if the twins aren't there, or Bofur. Will anyone notice they're missing? I'll have to watch BOFA to see how they eventually get to the mountain. Why did Thráin say nobody must enter the mountain? I'm making headway with DOS, got to Laketown without any Orcs and it's not too bad. Barrels leave, go down the river a bit and end up on the shore. The entrance to Laketown was no problem, like shooting fish in a barrel. The argument with Bard and the Master is the important bit, and the departure, so that's next. tarcolan said:Why did Thráin say nobody must enter the mountain? Eh? When does he say it, to whom, and is this in the book or PJ fanfiction? In the film. This is the movie forum. We're editing the movie. I know you can't bring yourself to watch it but help me out here. Gandalf finds Thráin in Dol Guldur and when he asks Gandalf if he still has the map and key Gandalf says he's sent Thorin to the mountain. Has he found out that this is what Sauron wants? My short-tempered answer to why Thráin said this in the movie would be that PJ & Co. as scrtiptwriters put it in the script for him to say, so go ask them. But Thráin asks if Gandalf still has the map and key? And when Gandalf tells him he's sent Thorin, with both in the latter's posession, to Erebor, Thráin says no one should enter the mountain? 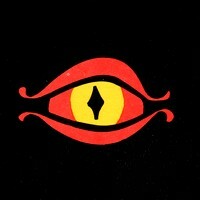 And does this mean Thráin has found out some sinister plot of Sauron's about this? By implication, this would mean that Gandalf's visit to Dol Guldur 91 years earlier, when he got map and key (but Thráin then died in the book) is a "background fact". Many have wondered why Thráin, his ring having been taken away from him five years before Gandalf found him in the book, would have been left with these two items. For Gandalf to find them? So he was allowed in to find Thráin back in 2850 TA? And then send Thorin on a rather nutty quest 91 years later? But not accompany them all the way to the Lonely Mountain? Brrrrr. Sauron, of all beings, both as lieutenant to Morgoth, and the Númenor bit that caught him totally by surprise, and ... should be more aware of what we today call chaos theory. No, that's way too much planning (which is mostly replacing chance by error), even for someone who can, by his nature, be very much more patient than we can. And I mean, how good could his planning have been when his nine Ringwraths then get trashed by the "tag-team" of Saruman and Elrond? And when he then he gets into the action, he gets himself drop-kicked way back east (at least as far as Barad-dûr) by a seriously not amused Galadriel? Perhaps in brain-short-circuited conspiracy-theory drivel, all of this was also part of his plot (and Smaug getting killed, too?). Maybe (though I doubt it) PJ & Co. as scriptwriters wanted to show us how far Thráin was gone by then. Or maybe, we're in the "Slips of the pen" territory of another sub-forum. In the BoFA EE PJ does confess to having reached a point of being at a total loss at how to continue at some point. They had been at that point several times earlier in the making of the movies without noticing it?